2. We will compare tour plan from top Cuba tour experts and get you the best tailored plan meeting all your expectations. Think of the beat of salsa music and cigar smoke drifting in the air. Think of friendly locals with ready smiles and beautiful baroque architecture lining narrow streets.Cuba is the largest Caribbean island with white sand beach.The capital, Havana, is lined with pastel houses, 1950s-era cars and Spanish-colonial architecture in the 16th-century core, Old Havana. Salsa music plays in the dance clubs and cabaret shows are performed at the famed Tropicana. The westernmost island Cuba is the largest in the West Indies group equal in area to Pennsylvania. This beautiful island is located just west of Hispaniola (Haiti and the Dominican Republic), and 145 km south of Key West, Florida, at the entrance to the Gulf of Mexico. Cuba is flat or rolling except in the southeast and south-central area where it is mountainous. Cuba is actually a group of numerous smaller islands, islets, and cays. Cuba tells the compelling story of land preserved in time, yet dignified on the point of exciting change. The vibrant culture of the nation has very carefully maintained colonial architecture, and pristine ecosystems opening a striking window into the island’s history. Cuba travel agents will lead you across breathtaking landscapes, under the ocean surface to bright reefs, and into streets beating with music and dance in the heart of Havana. Cuba is an enchanting country and a part of almost all luxury tours in South America. 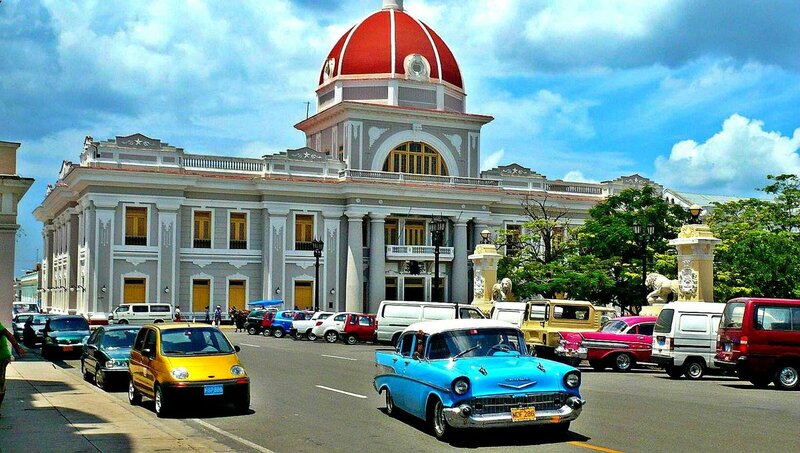 The colonial cities of Cuba remained almost the same throughout the decades. The ancient architecture feels as great as ever with shabby facades covering occasional gold dust. Many Cuba travel agents conduct historical city tours in Havana. The stunning beaches of Cuba which are the actual jewels of the country besides its timeless beauty draw traveler from around the globe for luxury Cuba tours. Playa Paraiso - Playa Paraiso, also known as the Paradise beach is a wonderful, almost untouched beach known for its natural white sandy coastline and gleaming turquoise water. Playa Paraiso has been voted as the third most beautiful beach in the world in 2016 by Traveller’s Choice. Playa Paraiso is renowned for the most tranquil waters in the island country of Cuba. Varadero Beach - One of the most famous beaches in Cuba is the Varadero beach which is known as the complete package deal in terms of a rejuvenating luxury Cuba tour. The marvelous, almost-straight 25 km range of white, sandy beach runs across the entire peninsula. Combination of blue and green waters forms an elegant boundary between the mainland and the Florida Straits. Playa Los Flamencos - Also known as Cayo Coco beach, Playa Los Flamencos is best known for its plentiful, all-inclusive resorts. Playa Los Flamencos, a part of Jardines del Rey group of islands, is located in central Cuba. Named after the cocoa (white ibis) birds, the island’s 22 km long white sandy beach and sapphire waters make it beach lovers paradise. To find the best beaches on the island, you need to be at the northern coastline where you will find the best resorts in Cuba. 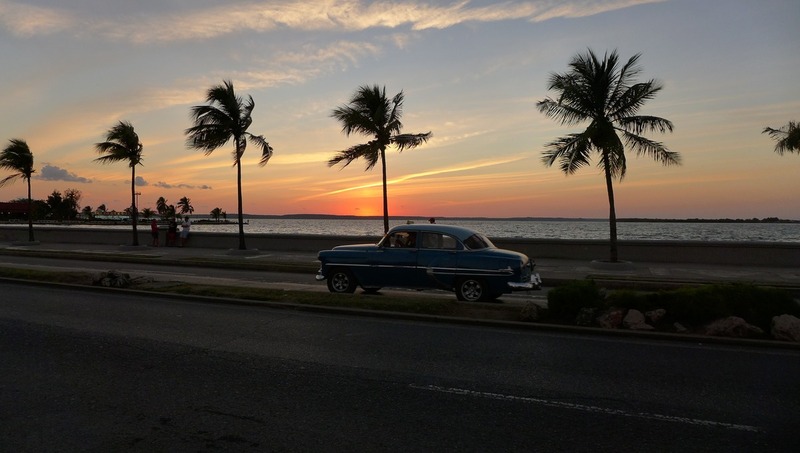 Cuba is really an outstanding and extremely photogenic destination, with its palm-studded tropical beaches, rows of faded colonial buildings painted in muted candy colors and streets filled with hand-painted Socialist paintings, ice cream parlors and classic American cars from the 1950s. You can join a guided tour conducted by the Cuba travel agents to feel the real aroma of the country. Explore history, arts, and culture in Havana, with one of many Cuba travel agents. Grab your camera and walk through the impressive streets, admiring the classic beauty of Havana's diverse architecture, or put on your happy remnants and experience Cuba's dramatic live music and dance scene - the Rumba, the Salsa, the Cha-Cha and world-famous Afro-Cuban jazz. Enjoy the cobblestoned streets, tranquil plazas and colonial beauty of Trinidad, head to Santa Clara for exploring history at the famous Ernesto 'Che' Guevara Monument and viewing the soul of Santiago De Cuba, one of Cuba's cultural capitals. Cuba’s most famous annual festival is Las Parrandas when every Christmas Eve sees the tiny town of Remedios transforms into the biggest one-night celebration in Cuba. The origin of this party dates back to 1820, with the town’s priest, who noticed his parishioners diminishing as the weather got colder. To make them attend crowd, he encouraged all the townsfolk together and inspired them to make as much noise as possible to get the adults out of the house. Over the years, it has become a full-scale festival. Now the several districts of the town compete with vibrant floats, towering illuminated sculptures, music, dance, and fireworks throughout the nights. The island of Cuba, with its lively rhythms, diverse landscape, and rich heritage of literature and art, wins over many travelers, who revisit again and again. The travel opportunities of Cuba differ from those in other Latin American countries, and the country has been a paradise for sun-seeking tourists as well as a traditional travel destination. Cuba is one of the most exciting travel destinations around and it is easy to understand why. The country has a rich and colorful history that still commands most aspects of Cuban life. Cuba is a Latin American nation but it has a unique feel all of its own. Cuba is the largest of the Caribbean islands and contains multitudes of history, culture, and ineffable majesty. Music fills the cobblestone squares of Havana and French colonial architecture shines against the coastline promenade of Cienfuegos. The revolutionary spirit of Santa Clara arises from the monuments devoted to Che Guevara and the youthful grace deriving from the university. Spanish colonial estates adorn the streets of Trinidad and the serene town of Remedios explodes into life on Christmas Eve. Join the luxury Cuba tours to celebrate the Christmas and New Years for an unforgettable holiday season. There are numerous day trips from Trinidad, the most famous being a beach day at Playa Ancon. However, the smaller, quieter Playa Maria Aguilar is a preferred one. Another famous excursion from Trinidad conducted be the Cuba travel agents is a horse-back riding trip to a waterfall and an entertaining stop at a cigar and coffee hut en route. Vinales is like a welcome respite from the crowded cities. Get close to nature here by opting for activities such as climbing, hiking, and horseback riding. The sunset walking tour is going to be a magical one where you’ll watch the sunset from a tobacco farm with a mojito in hand. What more could you wish for in luxury Cuba tours? Hiking to Los Aquaticos, which is a compact community of people who believe in the healing power of water is an amazing hike, with beautiful views of the valley. You would be amazed to learn about the culture of Los Aquaticos just if you manage to discover the community. You can also cycle around the city to witness the Mural de la Prehistoria, a vast vibrant painting on the side of a Mogote. If you are a rock climber, Vinales is definitely the best place in Cuba to climb. In case you wish for some beach time before returning home, day trips conducted by many Cuba travel agents to Cayo Levisa or Cayo Jutias is all that you need to consider. Outside of Old Havana, The Plaza de la Revolucion possess a stylish mural of Che Guevara. Undertake a stroll around Centro Havana and watch more Cuban life. It feels a world away from the old town, but you will love just witnessing people go about their lives, disconcerted about the visitors meandering around. The Capital Building is striking from the outside, and you can take a tour inside as well. There are tobacco factories in Havana, where you can tour to witness how Cuban cigars are made. For some funky street art, and important live music sessions, the Callejon de Hamel is also worth a visit. There are some outstanding museums in the city that you can check out such as the Museo Nacional de Bellas Artes for art, the Museo de la Revolucion, or the Museo de la Ciudad. Antique weapons fill the galleries of San Carlos and San Severino de La Cabana fortresses, forming a unique collection of antique weapons, including a medieval catapult. The small fortress of Castillo San Salvadore de la Punta stands at the western edge of the harbor. You can explore the sites while learning about those historical wonders if you take a guided tour conducted by Cuba travel agents. Cuba is a small but diverse country. The best time to visit Cuba depends on many factors. 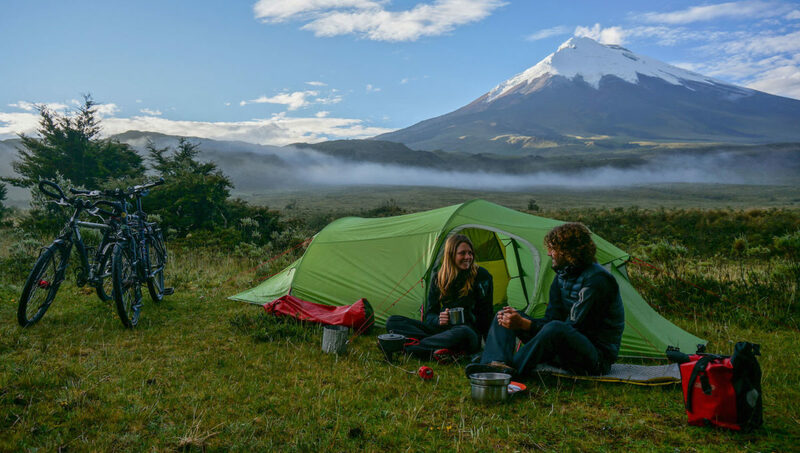 Go through the below details before you visit this Latin American island nation. Dry season - The warm tropical climate of Cuba offers two distinct seasons. 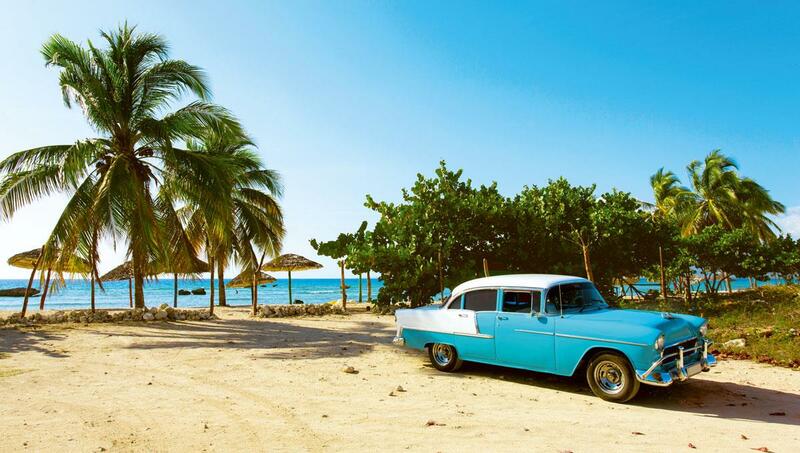 The best time to visit Cuba is from December to May when you can enjoy dry, sunny weather and vast blue skies. Wet season - Rainy season in Cuba lasts from May to November with the months of June, July, September, and October receiving the highest levels of rainfall. Though the whole Caribbean basin is affected by this tropical rain, the showers tend to be short and sharp. Also, the rain tends to bring about slightly cooler weather with less humidity, ideal for sightseeing and museum-hopping in the country’s capital. Fans of Rio de Janeiro’s famous carnival will love what Cuba offers. Each of the three major cities on the island, Santiago de Cuba, Matanzas, and Havana, host their own festival. The Havana Carnival is a tradition that has been continuing through generations of Cubans. It dates back to a few hundred years when slaves celebrated their culture with dance and march. If you visit Havana you’ll see the carnival parades go in full swing in late July and early August. The streets of the country’s capital are filled with bright costumes, huge floats, live music, and energetic dancers, and the performers love it if you join in. Cigars are one of Cuba’s most celebrated exports, so it’s no wonder that they have a festival dedicated to them. The official state cigar company, Habanos, organizes a series of lectures, factory visits, and even a gala dinner, where they auction off rare cigars. When you envision Cuba, it’s likely that you’ll imagine a picture of brightly-colored buildings and classic American cars. The island organizes a week-long celebration of the old-school vehicles that travel along the streets of Havana in the mid-March. The organizers encourage anyone coming to the event from other countries to bring their own classic cars to present at the displays, and they usually organize a drive in convoy from Havana to another city, too. Tourist accommodations in Cuba range from top-class historic hotels to budget guesthouses with basic uniform facilities in the cities. Go through the below details to find the perfect accommodation for your luxury Cuba tour. These are complemented by Casas particular, a system of excellent value guesthouses in Cuba, where Cubans can rent out a few of their rooms to guests. In most areas, Casas particular is not permitted, especially on the beach, due to government restrictions. The beach resorts range from top-class luxury accommodation to average facilities at slightly inflated prices. You can find a few very good exceptions with the more reasonable/lower price at some places. Hotels in Cuba are either owned or run by the Cuban state or are run as joint ventures with foreign companies. There are no 100% foreign-owned hotels in Cuba. Once you enter Cuba you will notice this country is pretty different in terms of customs and regulation than other Latin American countries. Here are a few things you should know before you visit his Caribbean island. You’ll need a visa which you can buy from Cuba travel agents, or simply pay for it on arrival (under 20 dollars for tourists). Cuba also requires visitors to hold health insurance for the period of their stay. Foreign insurers will be recognized by Cuban authorities, but you can also buy Cuban insurance at the airport for two and a half to three CUC (two and a half to three US$) per day. Cash will be vital for your Cuba tour because, except for a few establishments, none will accept credit/debit cards. Cuban customs regulations allow import of up to 5,000 dollars. Any amount larger than that will be subject to declaration upon arrival. We recommend to exchange US dollars to another of the currencies accepted by Cuban money exchange offices. Internet service in Cuba is very poor, even at hotels, where connection rates can be as high as 12 dollars per hour. Additionally, a few American service providers block traffic from IP addresses in Cuba, and you to use a VPN to access them. Cuban cuisine is diverse & delicious, made with fresh ingredients. These are some popular dishes you really have to try if you're planning a Cuba tour. Perhaps the most famous Cuban food, ropa vieja, is a stripped meat dish traditionally made with beef but now commonly made with lamb. The meat is fried and stewed in a tomato-based sauce with onions and peppers until becomes soft, and it is usually served with rice. The most popular meat in Cuba is pork wich stars in many local dishes. Lechon Asado is the spit-roasted pig, which is cooked to make the skin is crispy. You may even get to experience a pig being roasted in one of the food stalls. Lechon Asado is usually served with a sauce called mojo, which is prepared with spices, oil, garlic, onion and a small amount of bitter orange or lime juice. Usually, every Cuban meal is accompanied by some variation of rice and beans. Moros y Cristianos (literally, Moors and Christians) is white rice and black beans cooked together with garlic, oil, and other spices. There are a lot of reasons to visit Cuba. Just make sure you stay safe during your Cubatour. The below tips you may find helpful. Vaccinations are legally required when visiting Cuba. The Tropical Medical Bureau recommends all travelers receiving Tetanus, Typhoid and Hepatitis A. Cuba is not a malarial zone, although it is still recommended that travellers use DEET insect repellent and take the usual precautions in regards to mosquitos as there are the occasional outbreaks of dengue fever. Tap water is not safe for drinking in Cuba. Only boiled or bottled water should be taken and ice in drinks should be avoided. Cuba is considered a safe country. The most likely danger or moreover annoyance travelers will face are peddlers, known as Jinteros, who hang around tourist spots selling cigars and other things or offering to make arrangements for inexperienced visitors. There have been a few rare reports of muggings around Centro Habana, so travelers are advised to be cautious if in this area at night. Pickpocketing tends to be the most serious crime travelers may experience in Cuba, however, this can generally be avoided by taking the usual precautions. Cuba is the largest island nation of Carribean, and for a number of reasons related to its natural beauty, rich culture and recent human history, it is becoming an increasingly popular destination. Here is some important etiquette you should know before visiting Cuba. Usually, Cubans are loud, talkative and friendly, and many will go the extra mile if you ask them for help or directions. They will go out of their way to help you find the place you’re looking for. Unlike the US, at Cuban restaurants, you are not expected to tip the typical 10% to 20%. But the Cuban restaurant staff will be happy if you give them something between 1–3 CUC (1–3 US$). Bear in mind that, a 5 CUC (5 US$) tip would amount to about a quarter of the average monthly salary. The dress code in Cuba is comparatively casual, much depending on its tropical (humid) Caribbean climate. Shorts and bikinis are appropriate at the beach, particularly if you are in a resort or more touristy area. We the leisure.com team brings a wide range of customized Cuba tour to offer you a comprehensive hassle-free vacation. The plans are customized keeping in mind your requirements and interests. Whatever might be your choice; an adventurous vacation, a luxury vacation, a family vacation or a romantic one, we are ready with the perfect plan for you. We value your safety as well as respect your privacy, and the travel agents plan your Cuba tour accordingly, either a packaged group tour or an independent private tour. 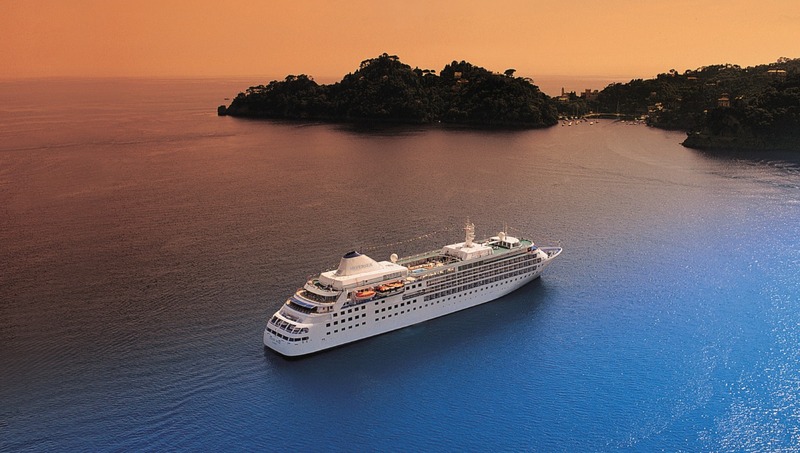 In all cases, we ensure a hassle-free experience with luxurious accommodations, expert local guides, and outstanding excursions. So whether you wish to explore the Cuban wildlife or immerse yourself in the natural charm, write to Leisure.com and we will bring you the perfect tour plan from the top travel experts.